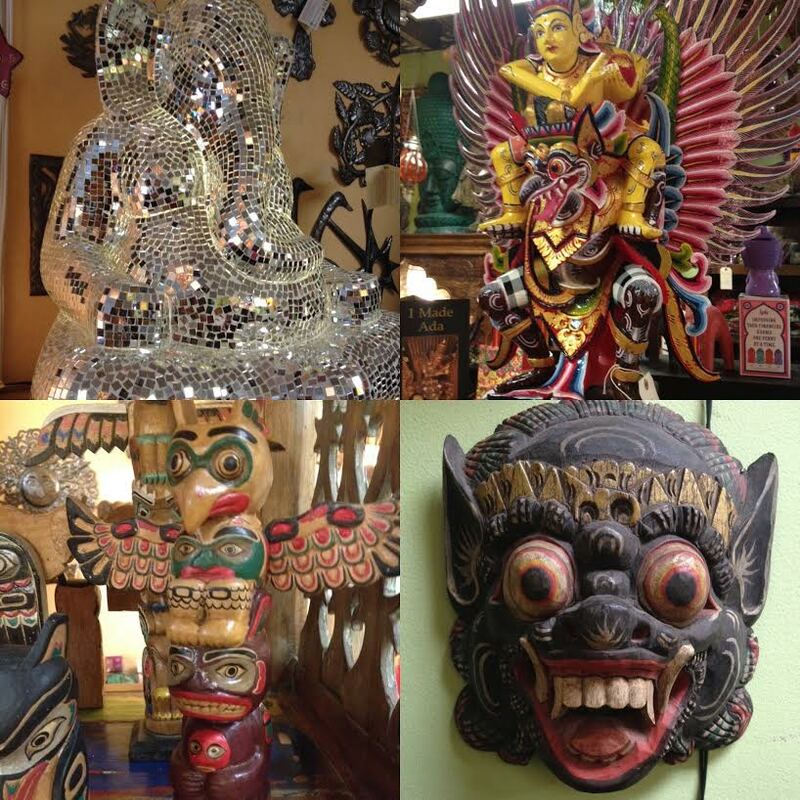 Garuda (top right) was Lord Vishnu’s mount and was so big that when he flew he blocked the sun! The Raven totem, also created in Bali (for outsourcing Inuits)- Native holy men understood that what the physical eye sees, is not always the truth, and called upon the raven for clarity. 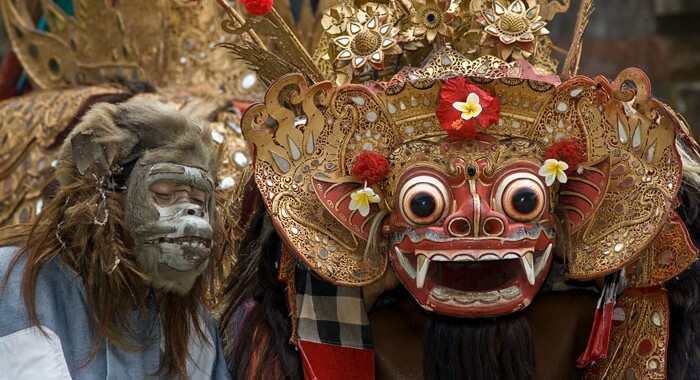 Barong with his bulging eyes and sharp canines is a lion-like mythological creature, king of the spirits and champion of good.